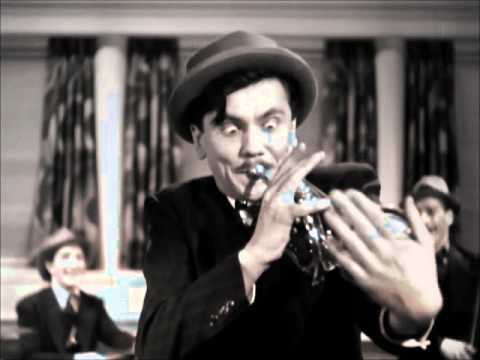 Years before Spike Jones and his City Slickers combined funny music with rude noises and zany, choreographed shows, Freddie Fisher (b. 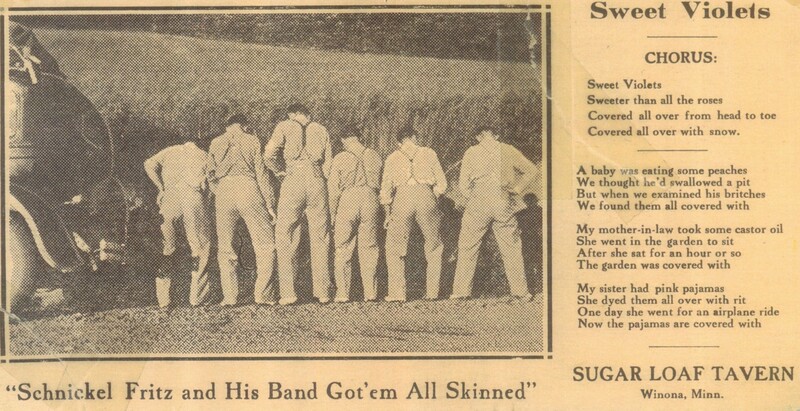 1904 Lourdes, Iowa) showcased his own brand of Dixieland jazz & hayseed havoc in the mid-1930s. Fisher was expanding upon the sound of then-successful corn-fed cut-ups, The Hoosier Hot Shots. 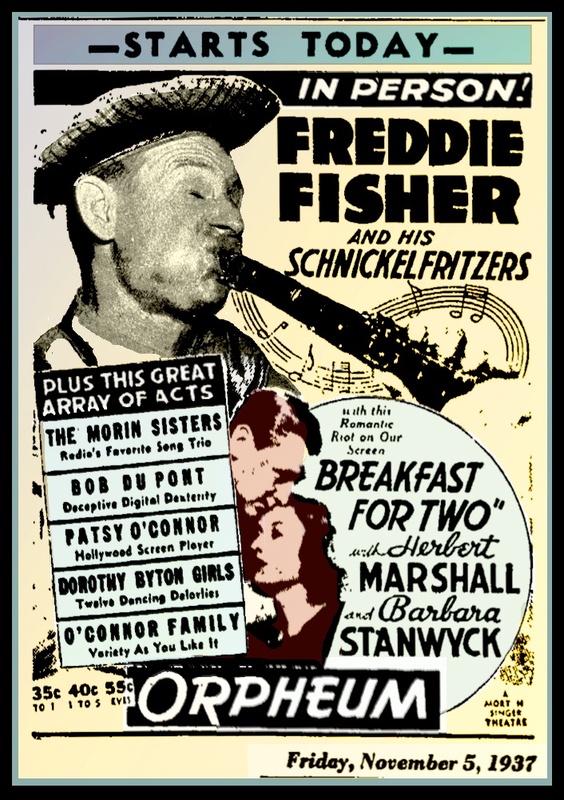 Fisher’s “Schnickelfritz” band antics included punctuating a musical note with the opening outhouse door on stage that revealed a bare-assed occupant; mimicking a locomotive to the tune of “The Wreck of the Old ’97” and peppering their lyrics with double-entendre. Fisher’s Schnickelfritzers initially gained a devoted following playing at the Sugar Loaf Tavern in Winona, Minnesota, then moved to bigger venues in St. Paul-Minneapolis. 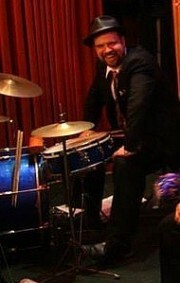 The band impressed visiting entertainer Rudy Vallee who brought them to Hollywood. Freddie recorded dozens of sides for Decca Records and opened his own nightclub in L.A. Later he made Aspen, Colorado his home and continued to play until his death in 1967.